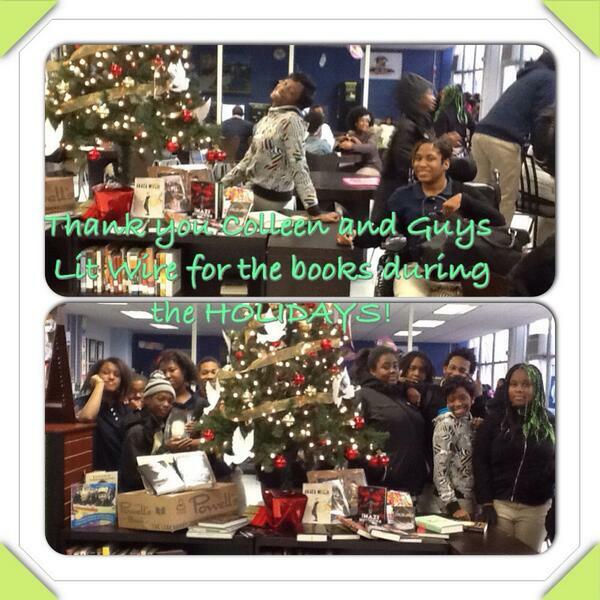 Guys Lit Wire: The Wonderful Joy of Ballou HS & Their New Books! That's how the students at Washington DC's Ballou Sr High School and their librarian Melissa Jackson feel about the recent Guys Lit Wire Holiday Book Fair. Via the Powells Books wish list, 59 books were bought and shipped to Ballou where they have been very gratefully received.